In winter the Welsh mountains often have a coating of snow and ice for some weeks and it’s great to profit from the conditons if you can. The scale of the Welsh mountains are one of their best assets – the summits are not too far from the valley so that getting up into interesting terrain with axe and crampons is fairly straightforward and short compared to Scotland. 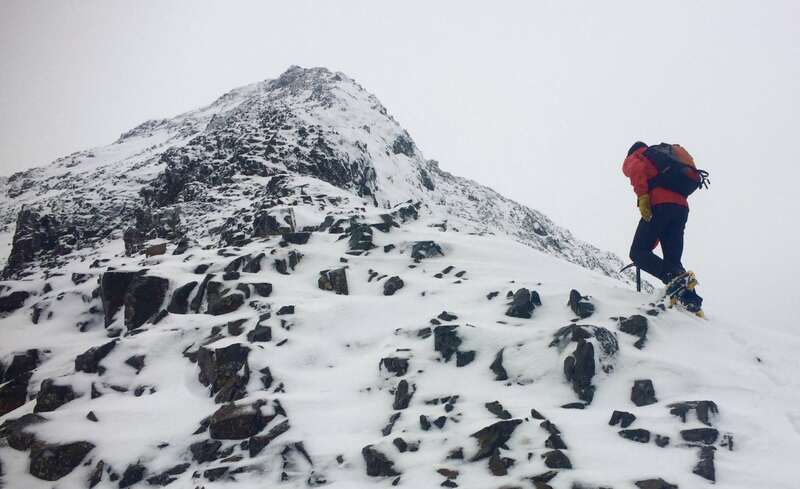 This makes Wales in winter a perfect place to learn about winter mountaineering. Also, when the conditions are good, North Wales can boast some of the most wonderful winter climbs in Britiain – there are some great snow gullies of all levels of difficulty, and ice climbs galore..so when the temperature drops in the winter start thinking about climbing Welsh ice – it’s all the better for being quite rare!